Are you looking for a new teaching opportunity this Jan? Do you want to teach in tropical and vibrant city? Are you an EAL specialist? My client is URGENTLY seeking for an experienced and qualified EAL specialist to join them in August 2019. The school is located in Selangor, Malaysia and caters for children from Early Years to Year 13. The international school has just under 800 children from age 3-18. The international offers a well-resourced working environment and offers on-going professional development opportunities. 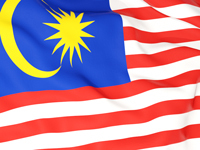 Living in Malaysia is a very pleasant experience. The climate is warm all year round and like any big cities, Kuala Lumpur has a significant expatriate population. The city also acts as a gateway to destinations all over South East Asia and beyond. Kuala Lumpur is a shopping paradise with shops and shopping malls everywhere and operating 7 days a week. In between other activities, there is also eating as Malaysians are known to be a food lover with amazing variety of food available.